"Very good. It gave us some background that will be useful. The main content of the course was what I hoped it would be. There was some useful extra information that we can use." "Easy to follow and covered everything it needed to." "The trainer was excellent, energetic & positive - very easy to listen to and learn from." "The trainer's knowledge and positivity was reassuring and patience. I'm very glad I've done this as it's made me very excited at how much more time efficient I can be with this learning." 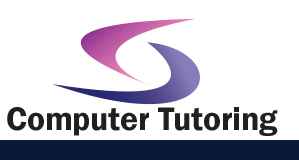 "I really enjoyed it- very informative and I have a good understanding of basic Excel." "Simon made everything look extremely easy to understand and put into practice." "A very flexible course, the trainer adapted the course to our specific needs." No matter where you happen to be within London then we can come to you to carry out Visio training in London. We go out of our way to ensure you enjoy the course. After all if you are in a relaxed mood you are more likely to learn. Having trained companies from banks in the city to Inmarsat over in Old Street also including GetApp. 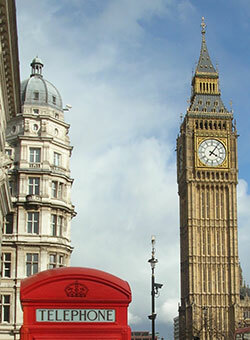 We are able to cover central London and come to your offices to deliver training. Covering areas including Westminster and Parliament square across to the Tower Hamlets. From the top of Oxford Street across to St. Pauls. We can come to you and set everything up at your office or home. That's right we can also provide laptops with Microsoft Visio 2016 Training Course already loaded on. We can also bring a projector should you need it as we know getting hold of one can sometimes be a hassle. The only thing we really require for Visio training in London is a room. So we can help you set up by preparing your Visio training course in London. Just let us know what you need. If however, try as you may, you cannot find room at your place of work then you can use offices close to you. Because we understand how difficult it is to find a free meeting room at work. We can use offices convenient to you. If Visio training in London outline is not what you require, then have a look at the many other training courses in London. We can also tailor your course using projects you're currently working on. Become an expert flowcharter with the customisable tools of Microsoft Visio 2016. Easily create a professional-looking visual product by using its extensive gallery of shapes. By following the exercises in this course, you will create visually engaging diagrams, maps, and drawings using graphical elements to make information easier to comprehend.